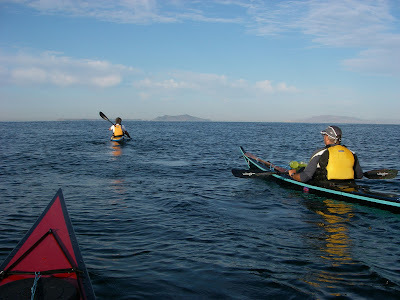 Here is Tsunamichuck's Nordkapp black and blue making a long crossing off SoCal. And in a state of Zen in the living room. Note the tail section standing in the corner. Try that with your single piece 'yak!